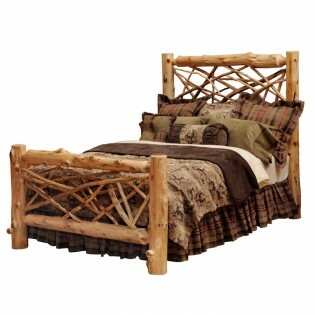 Turn your bedroom into a rustic retreat with our unique Twig Log Bed. The full log side rails allow for sturdy construction while the hand peeled Northern White Cedar accentuates the natural beauty of the logs. 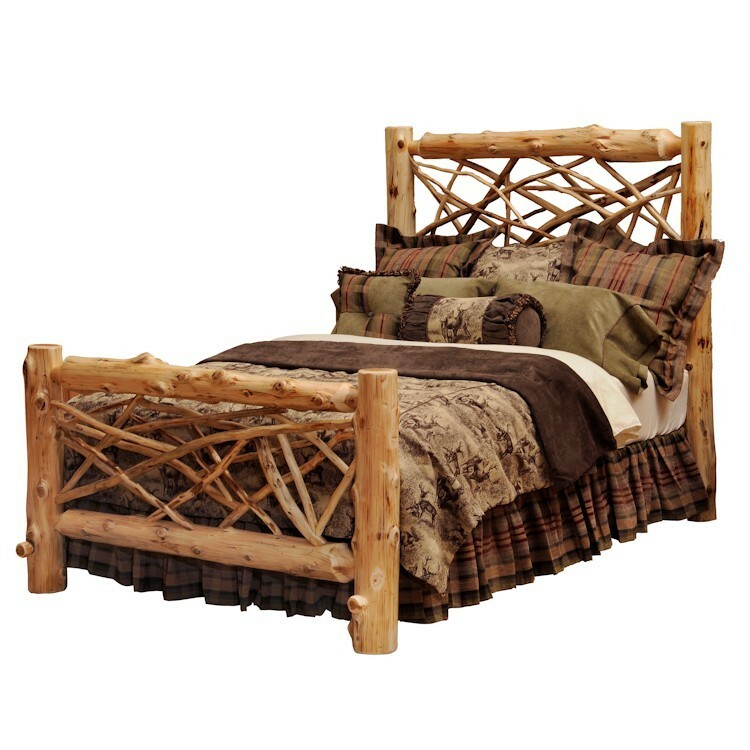 Turn your bedroom into a rustic retreat with our unique Twig Log Bed. The full log side rails allow for sturdy construction while the hand peeled Northern White Cedar accentuates the natural beauty of the logs. This rustic twig style bed It is clear coated with a catalyzed lacquer finish for extra durability.